The Junior Division played at the Wells Fargo Center before the Pacers vs 76ers game. During the recent JJBL Senior Division 2019 Semifinals at Elkins Park School, six high school seniors received college scholarships from the Eric Zucker Memorial Scholarship Fund. Now in its 24th year, the fund honored: Lucas Neidich, Adam Turk-Karan, David Ghalili, Jake Silverman, Evan Nitroy and Avi Wolnek. In the Senior Division final played at the Wells Fargo Center after the Pacers vs 76ers game, Kessler Topaz Meltzer & Check defeated Beth Sholom Congregation, 45-30. Fox Rothschild had a solid effort as they beat Pine Forest Camp to win the championship, 59-43. Congratulations to Train with Brandi for their 32-26 victory over Camp Ramah Poconos to win the Junior Division title. Prior to the Sixers' game on March 21, 2018, players from the Junior division played on the court! In the Senior Division final played at the Wells Fargo Center, during a snowstorm, before the Grizzlies vs. 76ers game, Commonwealth Packaging Company defeated Beth Sholom Congregation 38-30. In the Senior Division final played at the Wells Fargo Center before the Celtics vs. 76ers game, Kessler Topaz Meltzer & Check defeated Beth Sholom Congregation 43-37. In the Senior Division final played at the Wells Fargo Center after the Celtics vs. 76ers game, Keneseth Israel defeated Zarwin, Baum et al, 46-35. Check out the game photos on the provided link. 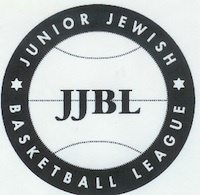 The Junior Jewish Basketball League is made up of divisions for boys and girls from 2nd-12th grades. Registration is from Sept.-Oct., Player Evaluations are done in Oct.-Nov., practices start around Thanksgiving and the league runs from mid-December to mid-March. Our Senior Division championship game is played at the Wells Fargo Center. All teams play on Sunday afternoon thru evening hours and usually one week night at times not to conflict with Hebrew school. Games are played at Elkins Park School and Abington Friends School (Hallowell & Triangle gyms). Qualifying, graduating seniors can also apply for an Eric Zucker Memorial Scholarship Award in their final season. The Adult Jewish Basketball League is an over 30 league. We have two sessions, one in the Fall starting in Sept. and again in the Spring starting in April. The games are usually played on Sunday mornings and Thursday evenings. The Aaron Wolf Memorial JJBL Alumni League is played in the summer starting in June. Games are played on Sunday, Tuesday and Thursday evenings. You must have graduated high school and played in the JJBL to participate. In the Senior Division final played at the Wells Fargo Center after the Pistons vs. 76ers game, Greenberg Chiropractic fought back to tie the score at 36 midway through the 4th quarter, only to have Friends of the Israel Defense Forces score the last 16 pts. in the game to come away with a 52-36 victory in overtime. Check out the game photos on the provided link. In the Senior Division final played at the Wells Fargo Center after the Bulls vs. 76ers game, Soloman Law defeated the Zeebros, 46-45 in overtime. Check out the game photos on the provided link. Here are the March Meshugas 2014 photos from 3/23. Also, the 3 pt. shooting contest winners and scholarship awardees are included. In the Senior Division final played at the Wells Fargo Center after the Nets vs. 76ers game, Bringhurst Funeral Home defeated Soloman Law, 43-29. Check out the game photos on the provided link. Here are the March Meshugas 2013 photos from March 17th. Also, the 3-pt. shooting contest winners and scholarship awardees are included. In the Senior Division final played at the Wells Fargo Center after the Bulls vs. 76ers game, Beta Sigma Beta defeated Southwark Metal, 46-38. Check out the game photos on the provided link. Here are the March Meshugas 2012 photos from March 18th. Also, the 3-pt. shooting contest winners and scholarship awardees are included. In the Senior Division Final played at the Wells Fargo Center after the Thunder vs 76ers game, Paul Davis Restoration defeated Greater Philadelphia Cares, 52-47. Check out the game photos on the provided link. Pictures of this season's March Meshugas 2011 can be found at the following link...enjoy! JJBL Team Picures past and present are available for $10. Contact Jeff Richman at jeff_richman10@hotmail.com. Go to the 'Locations' section on the left to get directions to our playing sites.